This is a medium size frog with males attaining about 10cm and females about 12cm. Features tend to be a combination of Pelophylax ridibundusand Pelophylax lessonae as a result of its hybridisation. 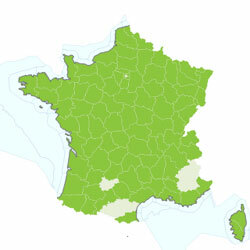 In France the exact boundaries of its presence are not well known but the Edible frog can generally be said to be found in the same regions as the pool frog as shown in the map. There are signs of decline since the 1950's / 60's in the centre west. It can be found in slow moving rivers, canals, old gravel workings, lakes and small ponds. They are very active and vocal during the day, less so at night. Prey is mainly insects, aquatic insects, moths and the larvae of other amphibians. This frog originates from a primitive hybridisation between Pelophylax ridibundus and Pelophylax lessonae, (Marsh frog and Pool frog). 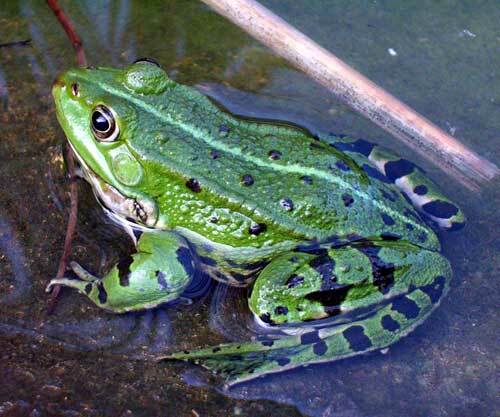 Although the resulting hybrids are fertile, males frequently are not and any coupling between male and female Edible frogs often produces weak or mal-formed offspring. Most of the successful breeding is produced between female Edible frogs and males of either the Marsh frog or the Pool frog. 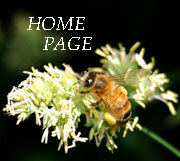 This takes place from April until June and the females release between 1000 and 11,000 eggs. Tadpoles generally take from 75 to 130 days to develop and leave the water in autumn where hibernation takes place under almost any light surface cover or woodland debris. Protection in France. Habitats Directive Annexe 4. Berne Convention Annexe 3. Protected Amphibians and Reptiles, Article 5. (May be captured for family consumption only).